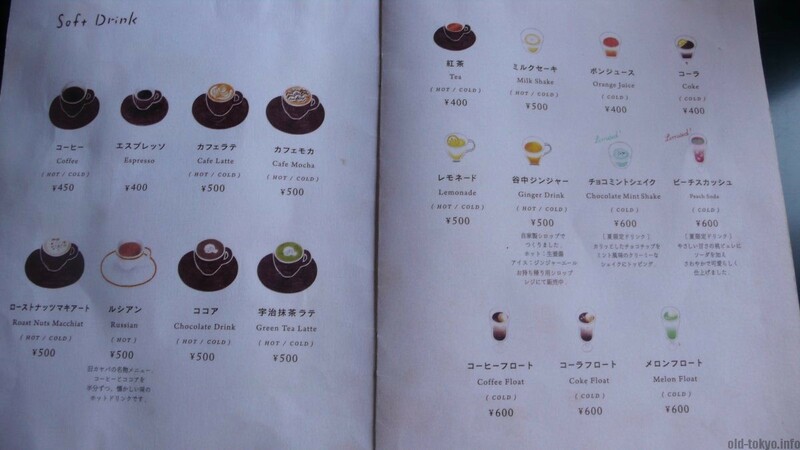 You will find many coffee shops with character in Tokyo, from traditional places to hipster cafes. The traditional ones are infamous for bad coffee and smoky rooms, usually ran by an elderly couple. While I often appreciate the original interior, they are usually not the best place to get a good cup of joe, despite their often heavy price tag (think in the range of JPY 400 to 500 for a regular coffee). If your aim is to get a decent cup of coffee, your best bet might be to visit one of the many chain stores (given that you like the coffee in that particular chain). On the other hand you have hipster cafes, that often come and go, and are run by a younger generation that can keep a coherent style together. Kayaba coffee, however, does not completely fit the bill of any of these two types, likely the closest to the hipster cafe style (it is run by young people, and its interior has a consistent style), it is a place with a lot of history. 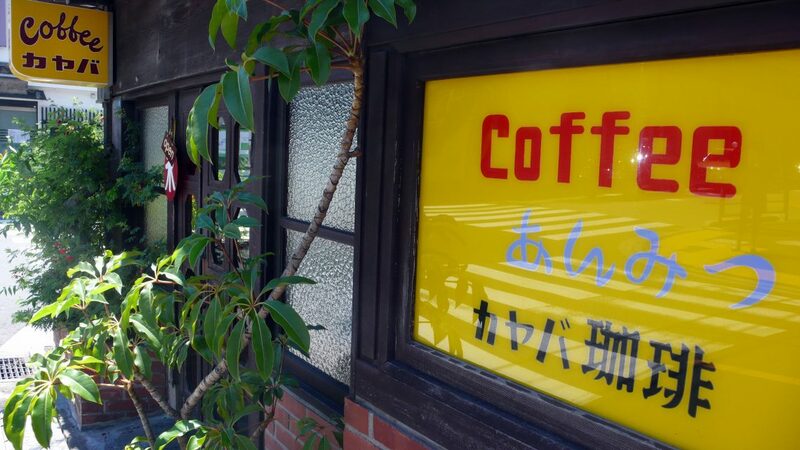 The traditional wooden house in which it resides was built in 1916 and the coffee shop was started in 1938 by Kayaba Inosuke-san and was managed together with his wife Kimi-san and their adopted daughter Sachiko-san. It became a treasured place and symbol in Yanaka until Sachiko-san died in the autumn of 2006. Kayaba coffee was renovated and reopened with support from the local community in 2009 (the non-for-profit Taito Cultural & Historical Society and SCAI THE BATHHOUSE), retaining the showa-style (showa: period in Japan from 1926 to 1989 that has a distinct style, think in the lines of the 1950s-1970s style in the West) for which the place was known with its chairs, counter, sign and tableware. Apart from the historical aspect, the places serves good coffee and their snacks/sandwiches are widely acclaimed. 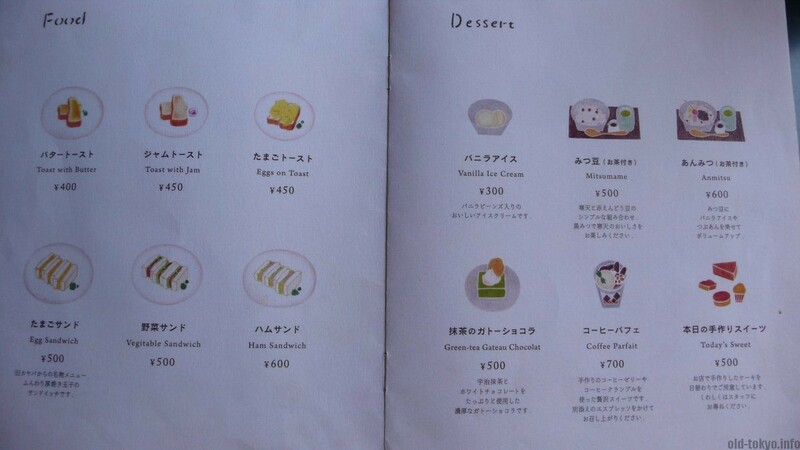 It has a couple of exclusive items such as the “Russian”, coffee mixed with cocoa. The first floor has 6 tables, each with 4 seats. On the second floor you have zashiki, which means you will need to sit on the floor. Usually tables are not shared, so if you travel alone, you can have you coffee, breakfast or sweet delight in all comfort. Recently, the place has become popular with an international crowd. During my visit half of the customers were foreigners. The staff speaks English. The counter, featuring a traditional shaved ice machine. 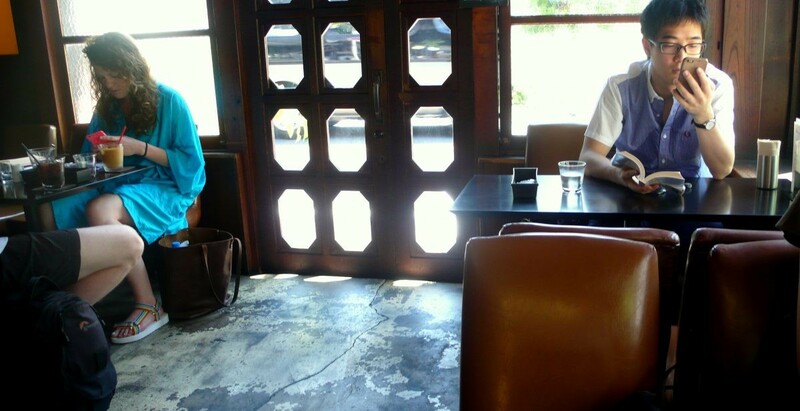 Inside the cafe, take note of the showa-style chairs and tables. 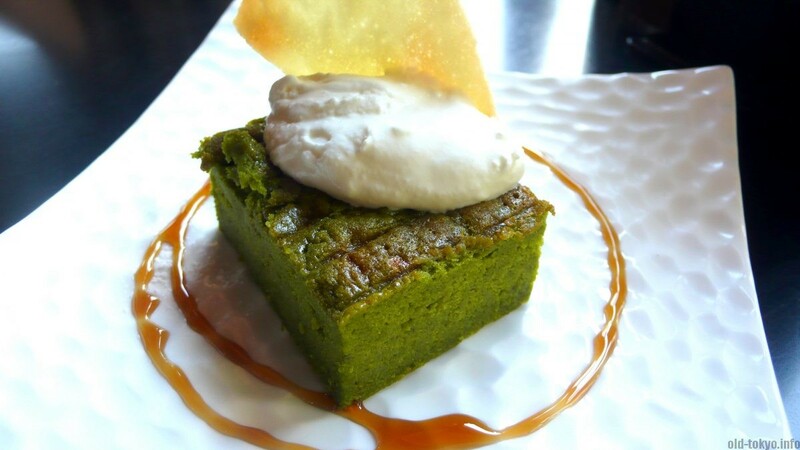 One of the sweets, the Green Tea Gateau Chocolat (recommended!). A view of the building from across the street. Have a coffee or breakfast early in the morning as the place already opens at 8 am. When the place is full, you will need to wait outside on a bench, not very comfortable in the sweltering heat or on a rainy day. Google offers an overview of popular times, so plan accordingly. 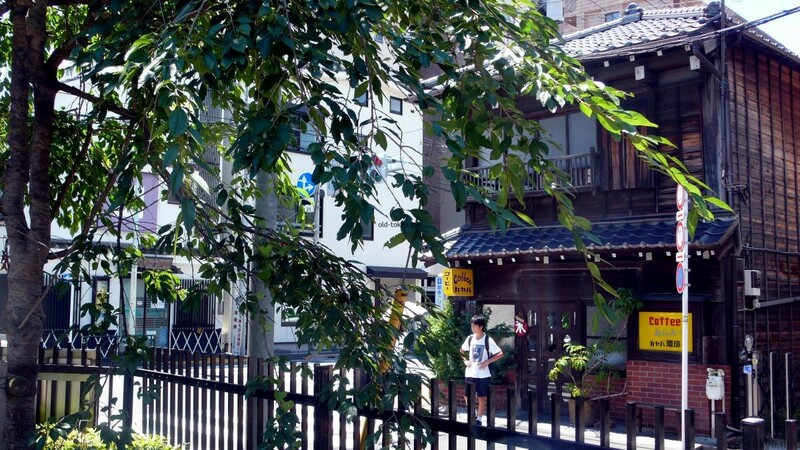 It is a 10 minute walk from Nezu station and is right at the southern end of Yanaka Cemetery. Address: 6-1-29 Yanaka, Taito-ku, Tokyo.